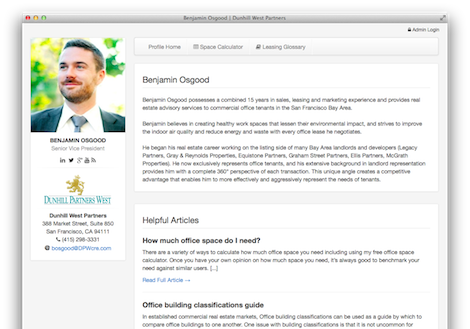 For commercial real estate brokers, landlords and tenants. 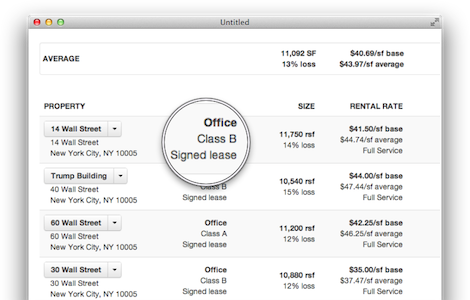 Quickly compare multiple lease proposals. Make the best financial decision with this spreadsheet. This downloadable spreadsheet allows brokers and tenants to compare leasing or owning any office, retail or industrial building. Elegant, simple to understand charts provide specific and easily presentable recommendations. 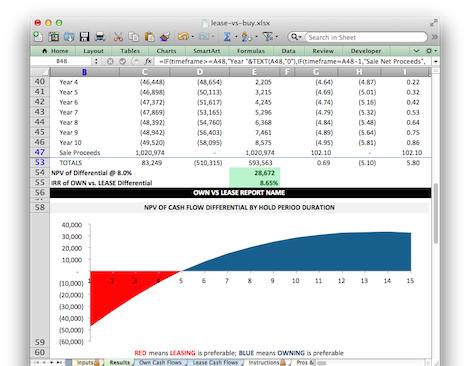 Side-by-side comparisons of before and after tax cash flows allow for easy comparison by all stakeholders. Net Present Value (NPV) and Internal Rate of Return (IRR) calculations give users the ability to identify whether it is better to reinvest in their core business or real estate. Includes a Pros and Cons Summary page which outlines the advantages and disadvantages of leasing and owning. Your very own private and secure lease comp database. 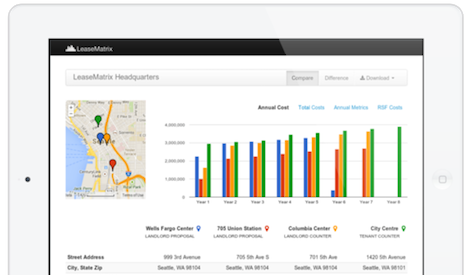 Our patent pending technology allows users to record and maintain lease comps automatically. This process eliminates double data entry required by previous collection techniques. LeaseMatrix eliminates the need for a separate lease comp database by summarizing the terms of every lease proposal you analyze. All deal terms are 100% confidential and only accessible by account administrators. Whether you've spent years building a reputation, or are just starting out in the industry, it is important to have a professional web presence. Build your online brand and reputation with our plug-n-play broker profile pages.